Korea Gas Corp. will be running liquefied natural gas-powered trucks starting this month, as part of its shift toward eco-friendly fuel such as natural gas and hydrogen, according to the public corporation Wednesday. Korea Gas Corp. said it would operate a pilot project involving 400-horsepower LNG trucks in partnership with Tata Daewoo, an automaker headquartered in Korea and owned by the Indian company Tata Motors, until early next year. After the pilot project, dozens more LNG trucks will be provided in 2019. The pilot project is part of the public natural gas company’s attempts to provide LNG to trucks currently powered by diesel, which accounts for 63 percent of fine dust emissions in Korea. Through the business, it hopes to improve air quality by reducing fine dust, diversify energy sources for transportation and create new demand for natural gas. The plan regarding LNG trucks was part of the company’s announcement Wednesday that it would invest 1 trillion won ($890 million) in the areas of LNG trucks, liquefied natural gas bunkering and hydrogen, in line with the nation’s “Renewable Energy 3020” goal to increase the use of renewable energy to 20 percent by 2030 amid growing concerns over fine dust and climate change. For LNG bunkering -- the practice of providing LNG fuel to a ship -- Korea Gas Corp. plans to map out legal grounds for the use of LNG as vessel fuel in discussion with the government, and to make an investment in bunkering facility construction in Southeast Asia to increase demand. The corporation will also launch a pilot project involving LNG charging stations in ports and cargo terminals in 2020, with the aim of starting mass production in 2021. Demand for LNG bunkering is expected to reach 310,000 tons in 2022 and 1.3 million tons in 2030 in Korea, according to Korea Gas Corp. In the area of hydrogen, the public corporation signed a partnership agreement with Australian petroleum exploration company Woodside last month to strengthen business cooperation. 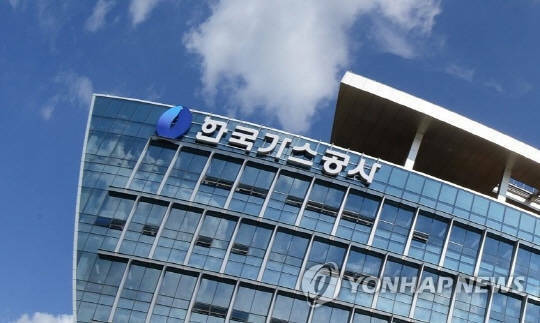 It is also pushing for the establishment of special purpose company to set up hydrogen charging stations jointly with other organizations and companies, including Hyundai Motor and SK Gas. Through the special purpose company, it plans to establish 100 hydrogen charging stations by 2022.